Southern hip-hop is known for its deep roots in the history of rap music. Country rapper Preston Williams, better known as P-Lane, is no exception to this list of promising southern talent. Growing up with humble beginnings in small town Mississippi, P-Lane was influenced by heavy southern rap styles, giving him a true passion and purpose in creating his own music. As P-Lane continued to craft his sound, he realized that he wanted to pursue his music career full-time. After recording his country hip-hop inspired tracks, P-Lane then released his music on Soundcloud, and Facebook; as many new artists have navigated through the digital shelf space of today’s online distribution. After gaining some popularity online, P-Lane started building his team with Manager, Marco Carulli. After some fine-tuning and strategic planning from P-Lane’s team, the songwriter’s hip hop style caught the ear of legendary director and business mogul of WHO?MAG, Rob Schwartz. Impressed by P-Lane’s unique cohesion of country sound with southern rap aesthetics, Rob became another key part of P-Lane’s team from states away. Networking his newest track, serendipity struck as Rob Schwartz connected the dots, presenting P-Lane’s music to 418 Music Label. After loving the single, label owner and award winning producer/DJ, Gino Caporale signed P-lane’s single to a distribution deal. P-Lane is enthusiastic to be apart of this largely growing label, voted the number 6th best dance label by Billboard Magazine in 2017! 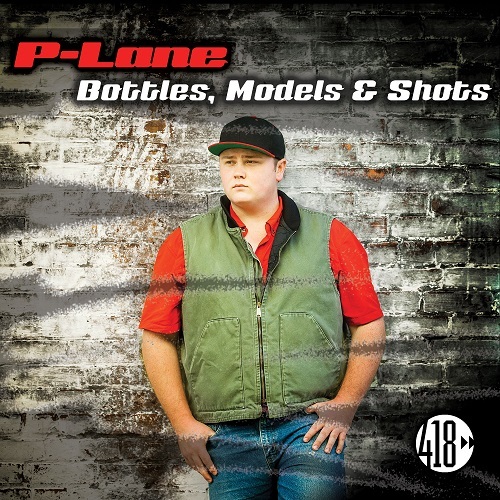 Now adding to the 418 family, P-Lane and his team are set to release his newly signed single “Bottles, Models & Shots” on November 20th! This single meshes together southern hip hop vibes with an uptempo dance rhythm. The rap takes on a melodic flow that keeps you singing along for the entire song! Be on the lookout for P-Lane’s debut single, distributed on all major online platforms this month!